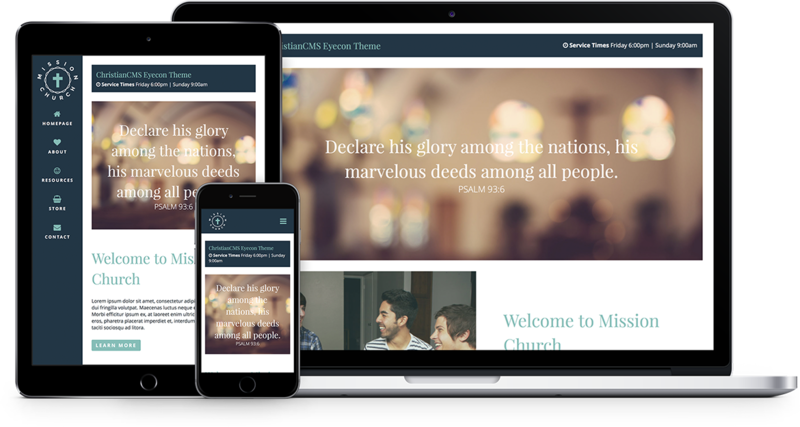 Everything you need to create a beautiful and effective website for your church or ministry. With our beautifully crafted responsive designs, we make sure your website looks great on any device. Find a unique style for your website to help your church or ministry stand out from the crowded Internet. Managing your website content is simple with WordPress. The power tools your need without any of the hassle. Our faith is the heartbeat of who we are and what we do. We promise to serve you with a Christian heart. Choose a website design option that is perfectly you. Easily make a website that reflects the unique people you serve. Proudly served over 6000 churches and ministries across the globe since 2001 with a reputation of personalized service. You offered wonderful support and gave me the easiest instructions to follow. I am so happy where we are with the website for now. ChristianCMS is a blessing! Today we're filled with joy and thanks to you for enabling us in this. You have always supported our efforts to grow, to give and to increase the testimony of God's Kingdom in the world. Thank you ChristianCMS! We worry about the details, big and small, so you can focus on your passion. We get to know you. Your website should be a reflection of you and your church or ministry. Our creative process starts with getting to know you, your passion to serve, and your goals to spread the Word. Choose a responsive theme design that you like or create something custom. Each design will have the same core features, but their look and feel are always uniquely different. Easily manage your website content without all the coding hassle. From website pages to blog posts, outreach events to donations, your new website has the tools you need. Your new website is ready, it's is time to launch! Share your message with your local community and spread your message around the globe. Your passion, your message, delivered. Request a free consultation and let us help choose the right solution for your church or ministry. An email and phone call from one of our online business consultants within one business day. A cost estimate for your needs. Great customer service from a trained expert. Over 6,000 Christian Organizations Served Since 2002! "I can't tell you how excited I am to be one of your clients. Our new website looks great, the support staff is excellent and the potential for the future is unlimited. And it has only been a few weeks...in one word - AWESOME!" © 2001 - 2019 Inspyre, Inc.